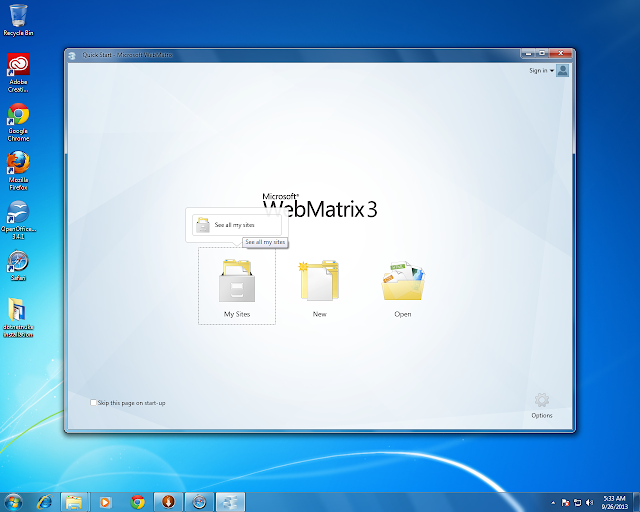 Microsoft WebMatrix is a free, lightweight, cloud-connected web development application for Windows. WebMatrix enables developers to build websites using built-in templates or popular open-source applications, with full support for ASP.NET, PHP, Node.js and HTML 5. 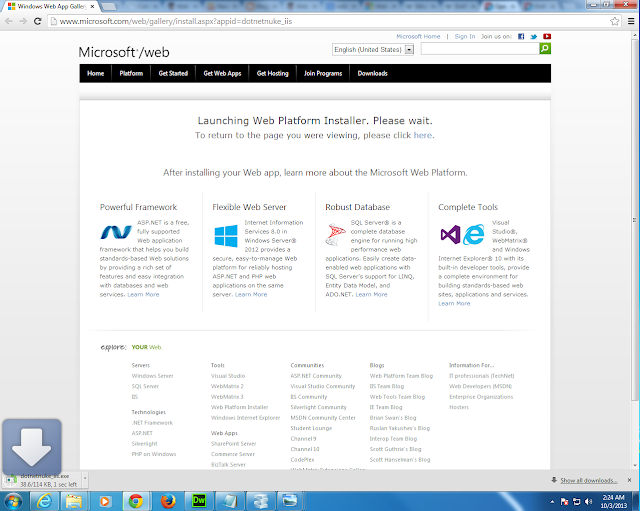 Microsoft developed WebMatrix for the purpose of providing web developers with coding, customization, and publishing capabilities all in one place. Screen3: dotnetnuke_iss.exe will be downloaded to your system. 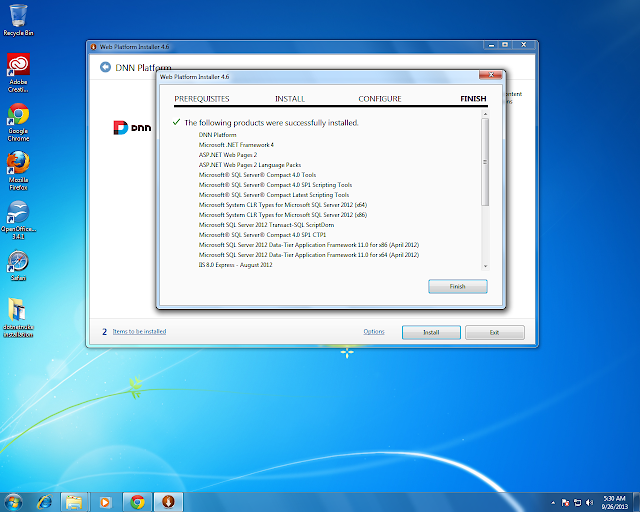 Screen3: Prerequisites which were mentioned above will be downloaded from internet and if SQL Server is not installed it would ask you to provide password for sql.Provide the password and installation of dotnetnuke will begin. 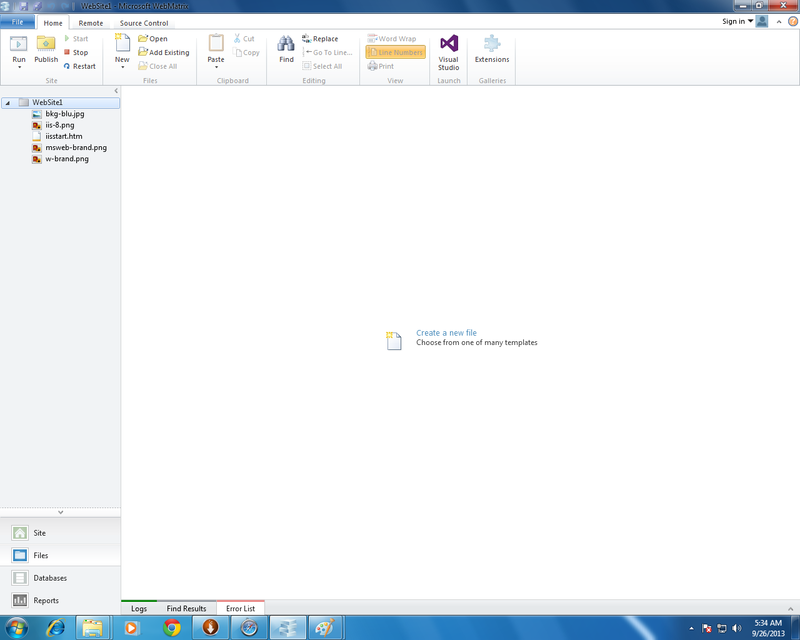 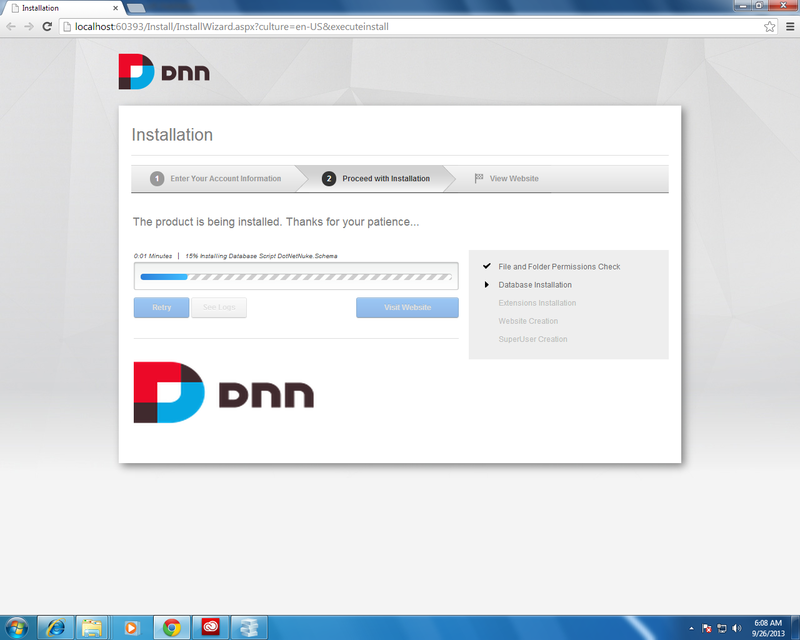 Screen4: dotnetnuke_iss.exe will be donloaded to your system. Screen5: dotnetnuke_iss.exe will be donloaded to your system. 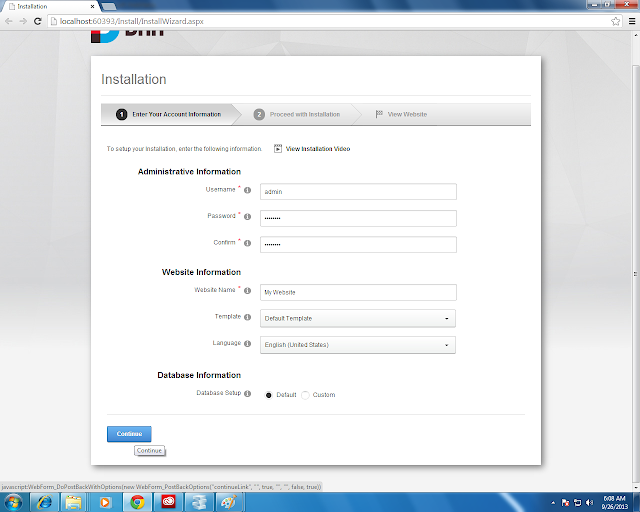 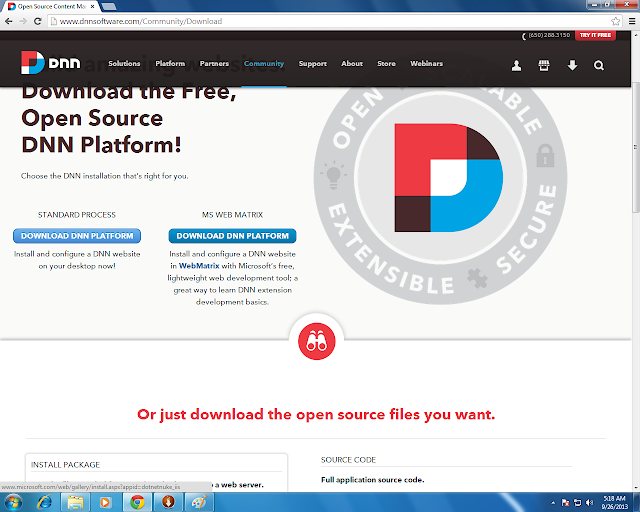 Step12.5: Once you press visit website it will create a brand new website with default skin giving successful installation of DNN and links to new features in 7.0 and learn basics of working with DNN. 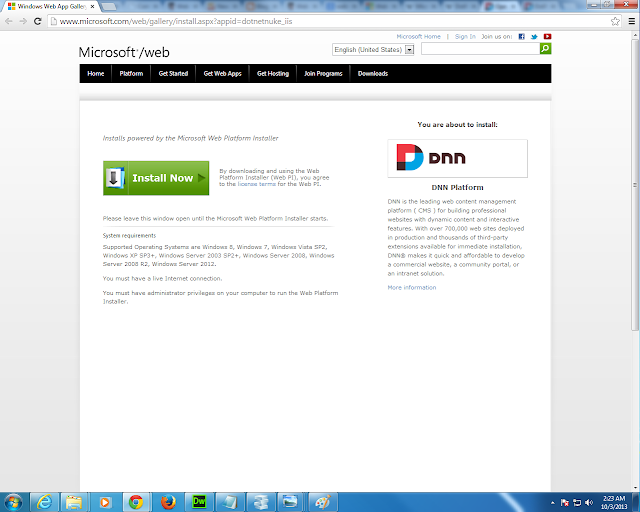 If needed go through the links else ou can just simply close the modal window and start working on DNN default site. 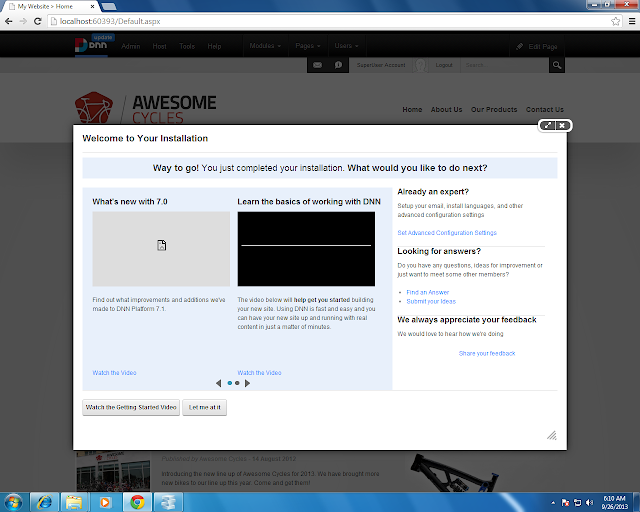 Yes you are all set. Your new DotNetNuke is installed. 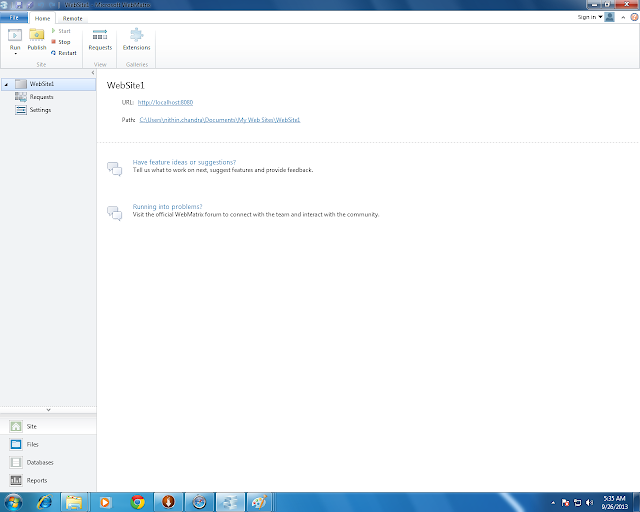 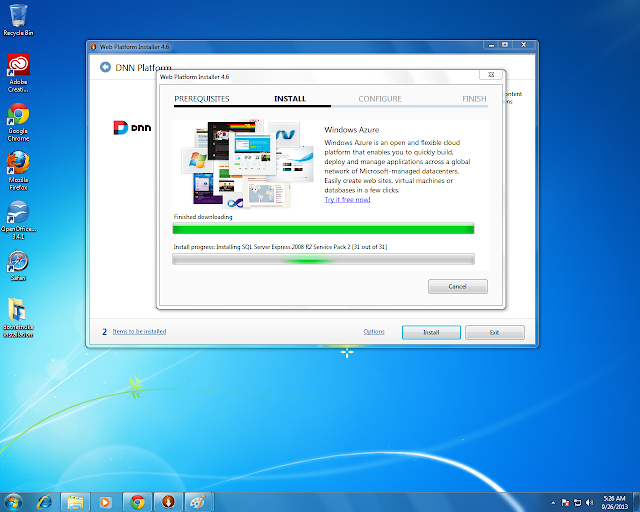 And will be posting How to do version upgrade in DotNetNuke in my next blog.